The mortgage industry’s most-watched bond yield broke through the 3 percent mark on Friday, signaling rising rates and investor optimism about the U.S. economy this fall. The yield on the benchmark 10-year Treasury note, which is followed closely by mortgage rates, briefly hit 3 percent on Friday for the first time since Aug. 2. 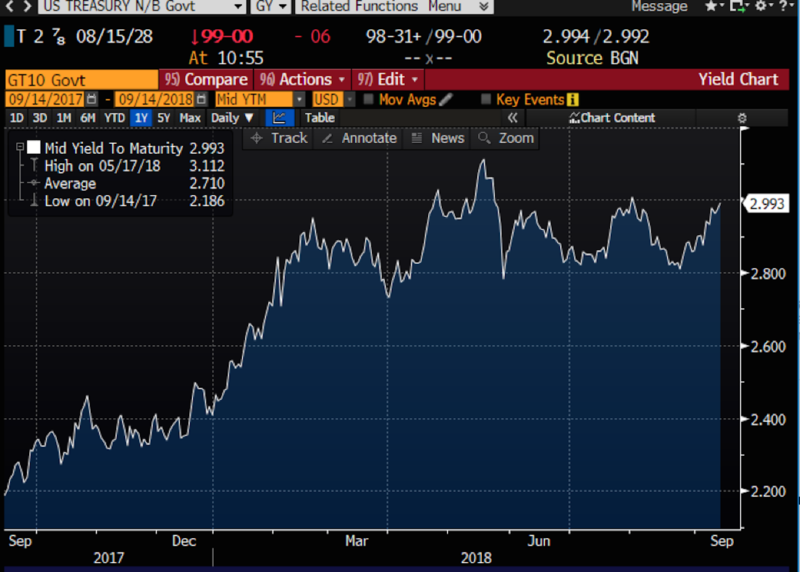 Yield have been rising this month as strong economic data has painted a picture of a hot economy as we move into the second half of the year. The latest move higher in bond yields is in part thanks to a revision in the retail sales figures out on Friday. The Commerce Department said on Friday retail sales edged up 0.1 percent last month, below expectations. But July’s figures were revised higher to show sales rising 0.7 percent instead of the previously reported 0.5 percent gain. That’s significant because it shows bigger paychecks this summer resulted in hotter retail sales during the summer and back-to-school season. On Friday, the University of Michigan’s Surveys of Consumers said sentiment hit 100.8 in September, up from 96.2 in August. This marks the second-strongest consumer sentiment rating since 2004. Consumer spending is a major driver of the U.S. economy. Other economic data this week included results from the monthly wholesale and consumer price indexes. The producer price index (PPI), which measures wholesale prices, declined 0.1 percent in August, three-tenths below expectations. This reflected a decline in food prices (-0.6%) and retailer margins (-0.9%), but an increase in energy prices (+0.4%). Overall, the reading suggests a slight colling in wholesale price increases. Meanwhile, the core consumer price index (CPI), which measures consumer prices, increased just .08 percent in August, its slowest move in more than a year. The CPI has increased at a 2.2 percent rate over the last 12 months, down from 2.4 percent in July. 2.2%. Rent increased .36 percent in August, showing housing costs continue to climb. Based on details in the PPI and CPI reports, analysts believe the core PCE price index, which is watched closely by the Federal Reserve Bank, is up about 1.93 percent over the last 12 months. That’s on-target for the 2 percent inflation rate Fed officials desire to maintain. 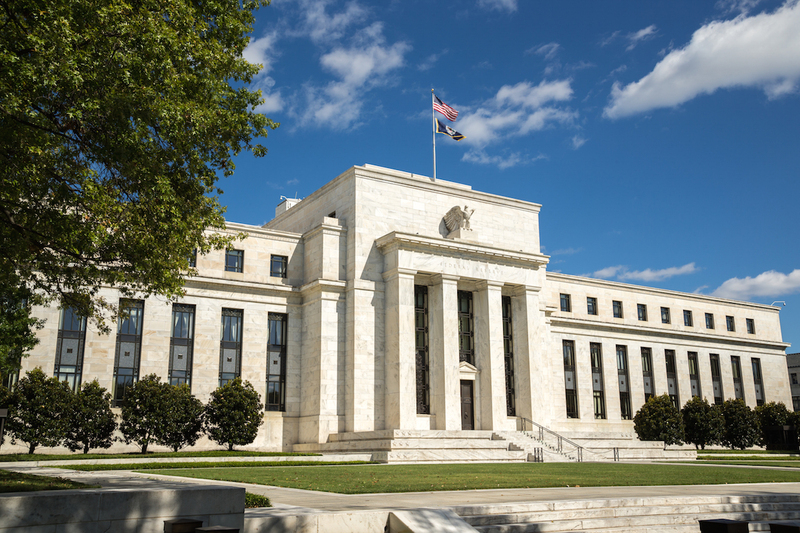 Odds are still high that Fed officials will raise interest rates again at their next meeting. If economic growth continues, two more rate hikes are possible before the end of the year. Finally, let’s all remember in our thoughts and actions the millions of people in the Carolinas and Virginia who are suffering from Hurricane Florence. The damage caused by this storm will be multi-billion-dollar in nature. Please be safe if you are living or traveling in the storm’s path.